Symbols are the language of dreams. In dreams the unconscious is revealed in symbols and the key to understanding a dream is knowledge of the symbol. 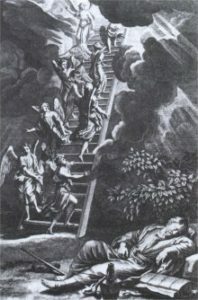 Jacob’s dream – engraving from works of John Milton, London, 1794-97. Reproduced from Kabbalah, Tradition of Hidden Knowledge by Z’ev ben Shimon Halevi, New York, 1979. Understanding and working with dreams is an important part of spiritual and psychological development. Small groups meet once a week, either during the day or evening, to analyse individual dreams in the context of the Kabbalistic Tree of Life. 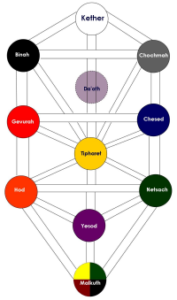 The importance that the Kabbalah attributes to dreams is one of its most fascinating aspects. For more than eight hundred years in writing, and certainly dating back much longer through its oral teachings, the Kabbalistic system has regarded dreams as a vital pathway for inner development and higher consciousness. There has been speculation that the Zohar may have strongly influenced Sigmund Freud’s theories. Freud is considered to be the father of dream analysis and in 1899 published a book on the interpretation of dreams, although his groundwork was expanded and developed extensively by Carl Jung in later years. 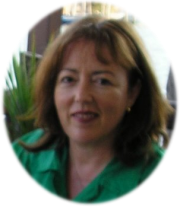 Evelynne facilitates a number of dream groups in Melbourne, consisting of people who have usually some grounding and understanding of Kabbalah. These groups are based on Jungian theories, but as Jung’s theories fit very well on the Tree of Life, the two systems mesh together very well indeed. These groups require a commitment of time and many members of the groups stay for years. Vacancies are therefore rare but do occur from time to time. All the companions liken it to a man who has a ladder in the midst of his house whereby he can ascend and descend without anyone to prevent him.